الخيار الأفضل للحصول على المتعة والاسترخاء، Alpers Lodge يقع في منطقة رائجة من أفضل مناطق المدينة. يقع مركز المدينة المثير على بعد 5.0 km فقط. يوجد العديد من المعالم السياحية الأكثر جذبًا للسياح في هذه المنطقة. كما يقدم Alpers Lodge الكثير من الخدمات لإغناء رحلتك في المدينة. يمكن للنزلاء الاستمتاع بالميزات التالية: تسجيل وصول/خروج سريع, تخزين الأمتعة, واي فاي في المناطق العامة, صف السيارات, غرفة عائلية أثناء إقامتهم في هذا المكان الرائع. تنعكس أجواء Alpers Lodge في غرف الضيوف.تلفزيون بشاشة مسطحة, سجاد, قهوة فورية مجانية, شاي مجاني, بطانية كهربائية هي بعض الميزات الموجود في العديد من الغرف. سواء كنت من محبي الرياضة أو كنت تتطلع لتفريغ عناء نهار صعب، ستجد خدمات ذات مستوى عالي بانتظارك كمثل مسار جولف - ضمن 3 كم, حديقة. اكتشف مزيجاً ساحراً من الخدمة الاحترافية والخيارات الواسعة من وسائل الراحة والمتعة في Alpers Lodge. 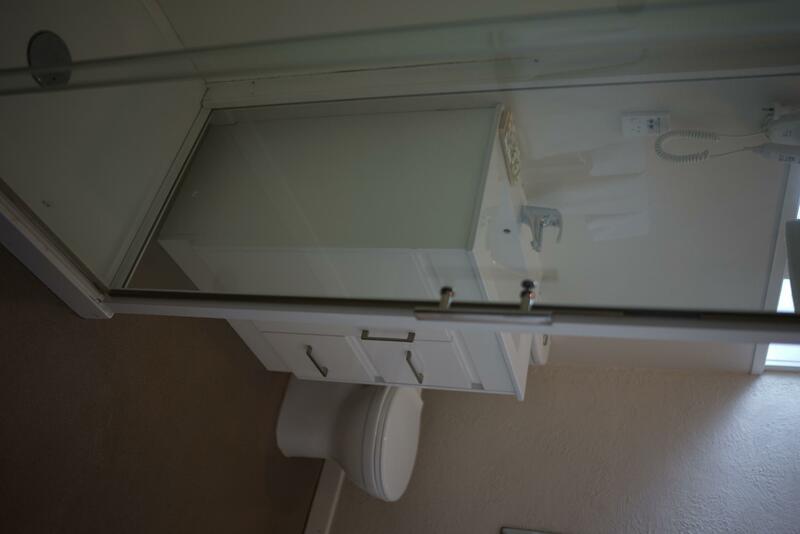 Pros - very handy location with lots of transportation options, rooms were very nicely done up, very good parking so long your car is not extremely large, staff who were friendly and attentive to your needs. Minor observations - there were separate hot and cold water taps in the toilet which could be embarrassing for a cold winter morning. The roads in the immediate neighborhood could be rather jammed up during the rush hours. All in all, it's a really lovely place and I had a very enjoyable stay. Stayed at the lodge for 3 nights with a car. No problem with parking and did not have to pay rather than stay in a CBD hotel. Had the studio with a kitchen, very spacious room. Did not get to try the breakfast as it ends at 9am. Older building, bed not as firm, but amenities ok. I would stay here again. Very happy with staying here, second time I have done it. Great value for money. The place is showing slightly of being a touch tired, but the rooms were of a good size and nicely presented. Would be happy to stay here again. Apart from its location this hotel has nothing to offer. It was like staying in a poor throw back to a Pontins chalet in the 1970's (Google Pontins if you are not from the uk). There was artex swirls on the walls which I have not seen since the early 1980's. I never expect much but this place could not even live up to my lowest expectations. Booked here despite some reviews. The large room was spotless, bed comfortable with what appeared to be new linen , towels also appeared new. Heat pump worked well. Nicely furnished. Building was old but this didn't bother me given the room was great. Only issue was reception not giving clear instructions about location of the room but not a biggy. It looked as though there was a lot of refurb going on- fresh paint smell. Would certainly book again as my room was great value in a excellent location- close to New Market. It was stopover for us on our way to the North. Check-in was unprofessional - the middle age receptionist wasn't welcoming at all, and charged my credit card for the room even though I already paid to Agoda. Later, she realized the mistake and refunded the amount to my credit card. The next day's receptionist (a young man) was pleasant and friendly. Likewise, the chef was very friendly as well. Credit to them for making up for the poor service the day before. Breakfast was Spartan. I was in Auckland for the first time having to do a huge amount in a small timeframe for work, and it was great to be able to unwind at the end of the day in such a clean and welcoming environment. On Saturday, I took ill, and it was awesome to be able to just lounge in the room doing some work in a comfortable and peaceful place close to shops, chemist and doctors yet without the noise from the streets. I really enjoyed my stay in this motel. We both live out of town and came to auckland for one night only. The location was in the heart of the shopping precinct and we were greeted by fantastic staff. the rooms were cleaning and modern. The only problem we felt was the textured ceiling which may or may not contain traces of asbestos. Could pay to get it checked by a professional. A little concerning if you have a health problem but should be ok if you don't stay there long term but just passing through. Will stay there again this week. Cheers. I arrived at Alpers in the evening of 2nd March 2014 from Lake Taupo at about 7pm. I was greeted at the reception desk by a friendly staff who was generous with her smile. Check in process was very fast and easy. For the price I paid, I had expected a small room. But I was pleasantly surprised to find a spacious and comfortable room. I was also pleased to find that there was a self-service laundry facility in an outbuilding at the rear which was operated with coins. It saved me a lot of time and inconvenience of having to handwash my clothes. This is of course not a first class hotel, but certainly good enough for the average traveller. We stayed 2 evenings & felt relaxed. Abit outdated around the outside but nice and comfortable inside. Free continental breakfast which was a bonus but dinner was average for the price. Enjoyed the main but the rest was abit over priced. Over all, had a lovely stay there, will go again & do recommend the lodge to others-fair price. 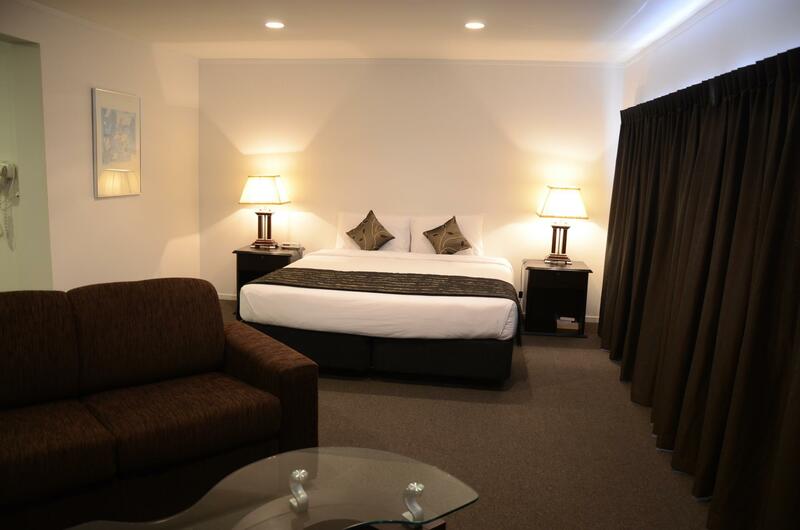 The Alpers Motel was in a very good location for me I, I could walk to the shops in Newmarket and only a short distance by car for all my appointments. The staff were very friendy always willing to help. They were so obliging and went the extra mile to look after you. I will be back in Aucland in February and will stay with them again. We stayed here for 3 nights for Disney on Ice. The location was fantastic and the free parking was great. The only cons we found were, no rubbish bin provided in room (besides the small one in the bathroom), very VERY soft beds with scratchy cheap sheets, and incredibly thin walls - we could hear conversations in the next room and whenever someone used the shower or water, sounded like maybe we were next to the cylinder. Our 4 year old is a great sleeper and didn't wake up at all with the noise so this wasn't a super big problem for us personally, but if you're a soft sleeper you may have some restless nights. Overall I'd recommend this hotel to people who are using it just for somewhere to sleep, as we were. Room was cold although a heat pump is fitted and working it wasn't directed towards the sleeping area but to the small kitchenette area so it often cut out due to thermostat detecting local heating only. The bathroom, though clean, had no heating and was freezing. No electric blankets on the bed, these had to be pre ordered but no mention of this on the booking site. Need more competent staff, serve coffee on Sundays, serve at least Sunday breakfast. Place very dated. Rooms should be supplied with bottled water, rubbish bins in main room. External bins over flowing. Parking bad as staff take up many places. Agoda is an issue as there seems to be little communication with the accommodation supplier and they also hyjack bookings that consumers try to obtain directly. the motel charged 50$ for early check in. also gave a room which is very close to the main road. very noisy all the time.every time people walking in the upstairs room you can hear it. we booked for 2 nights and could not sleep at all.Also the shower box is blocked and overflowing the water in to the bathroom floor. when we complained to the reception Girl, she said she can't change the room without the permission from her Boss and she said she could not contact her Boss. This is the worst motel we ever stayed. keep away from this place. As I was checking for bed bugs (I always do that in hotels) I found quiet a few spiders. As I was checking the rest of the room there was dirt in corners and along walls. I moved the drapes and there was a broken window - not the glass, but the window hung off of its hinge - you could not close the window, let alone lock it - no screen. I was moved to a different room. I was not impressed with the second room cleanliness. The tap on the bathroom sink was lose and wiggled around. Physical door keys, so security could be questioned. Not the highest quality. It was a quiet night, but instead of staying three nights I only stayed one.